Boshart old fashioned shallow well hand pump, also called a cistern pump. 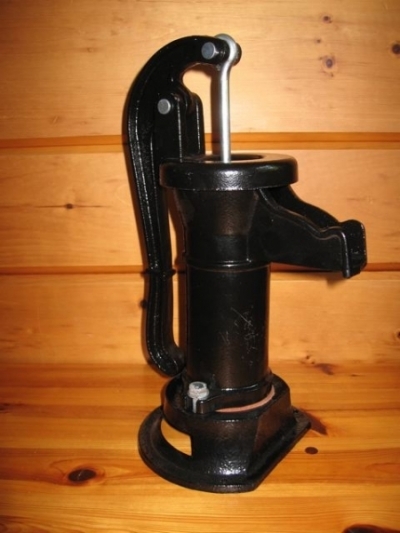 Has a cast iron body, steel pump rod, aluminum plunger assembly and leather cup. NOTE: this pump should not be used on a well because contaminants can enter the well through the open top. Use the Hitzer, Oasis WP2 or OasisWP2P for drinking water applications.